We are here to help you organize and re-prioritize!! We have everything you need to help make your house a home. 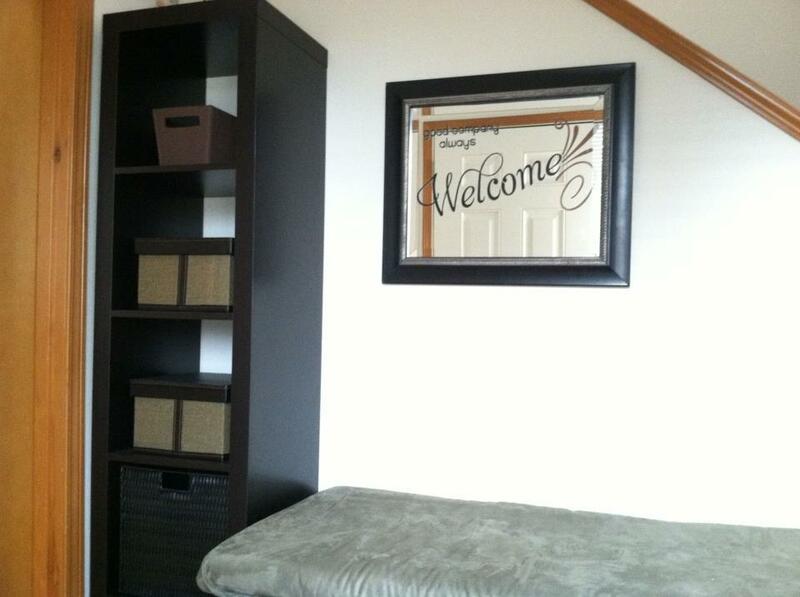 Get great tips & tricks on how to organize the areas of your house and how "upcylcle" some of those unused items. What are you doing to prepare?? We here at Clutter Me Not are excited to dive into the Spring Cleaning! But, before we do that, we are PLANTING!! We are grabbing those gardening gloves, organic potting soil and newspapers and getting busy. Newspapers? What for? Well, I'm glad you asked. If you are like me, saving time is something I'm always looking for. Especially when the days are getting nicer and I just want to be relaxing outside with a cold drink. So, to prepare myself for that time, I decided I would save a step in our process of growing fresh and organic food for my family. Take a look below! These were super easy to make and cost me $0 and not much time. On Friday mornings we receive the "throw paper" (the local freebie one) which I used for this project. Where I will be saving time is in the transplanting process. The newspaper pots can be planted directly in the ground!! How awesome is that? To keep in line with the organic growing process, my friend told me a great secret. Right before you are ready to plant your seeds, boil some eggs. Use the same water you just boiled the eggs in (after it cools!!) to water the seeds. After boiling your eggs, the water has collected some of the nutrients from the shells and it happens to be a great fertilizer! I don't think you can get much more organic than that! Next up, Garlic!!! 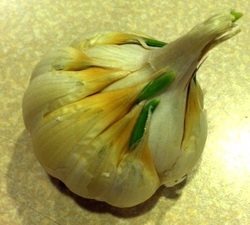 I'm using just a regular bulb of organic garlic I bought at the grocery store. I had it in my pantry long enough that it already started to grow. Oops! Time to plant it! Tune in tomorrow to see the delicious pots we are going to use to grow them inside!